United Way of Howard County awarded federal funds made available through the Department of Homeland Security (DHS)/ Federal Emergency Management Agency under the Emergency Food and Shelter National Board Program. United Way of Howard County chosen to facilitate distribution of $29,904 to supplement emergency food and shelter programs in the county. The selection was made by a National Board that is chaired by the US Department of Homeland Security’s Federal Emergency Management Agency and consists of representatives from American Red Cross, Catholic Charities, USA; National Council of the Churches of Christ in the USA, the Jewish Federations of Northern America, The Salvation Army, and United Way worldwide. The local board is charged to distribute funds appropriated by Congress to help expand the capacity of food and shelter programs in high needed areas around the country.A Local Board made up of representatives from County Government, Labor Organizations, United Way of Howard County, Salvation Army, the Jewish Federation, Catholic Charities, American Red Cross, Coordinated Assistance Ministries and local ministry associations will determine how the funds awarded to Howard County Agencies are distributed among the emergency food and shelter programs run by local service agencies in the area. The Local Board is responsible for recommending agencies to receive these funds and any additional funds made available under this phase of the program. Under the terms of the grant from the National Board, local agencies chosen to receive funds must 1) be private voluntarily non-profits or units of government 2) be eligible to receive Federal funds 3) have an accounting system 4) practice non- discrimination 5) have demonstrated the capability to deliver emergency food and or shelter programs and 6) if they are a private volunteer organization, have a voluntarily board. Qualifying agencies are urged to apply.  United Way of Howard County has distributed Emergency Food and Shelter funds previously with The Kokomo Rescue Mission, The Salvation Army, Samaritan Love Center, Advantage Housing and Family Services Association of Howard County participating. The agencies were responsible for providing 40,000 meals and 5146 nights of lodging to residents of Howard County. Public or private voluntarily agencies interested in applying for Emergency Food and Shelter Program funds must contact EFSP Staff Coordinator, Cheryl Graham – on behalf of local board chairman, Brian West – at United Way of Howard County, 210 West Walnut, Kokomo, Indiana, phone- 765-457-4357 ext. 320. Applications can be picked up in the United Way Resource Department Monday-Friday 8 am to 4 pm or found online at unitedwayhoco.org. Deadline for applications to be received is Monday, February 11 at noon.